Looking through resources for my interior designing need, I found beautiful accessories for the table at One King’s Lane. 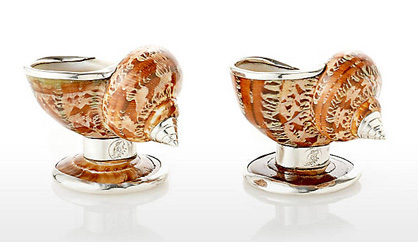 Two sets of salt and pepper vessels made of seashells on silver really struck my fancy. They are dainty, the coloration is beautiful, and I am thinking a voiles or chiffon tablecloth will be perfect to stage a table. 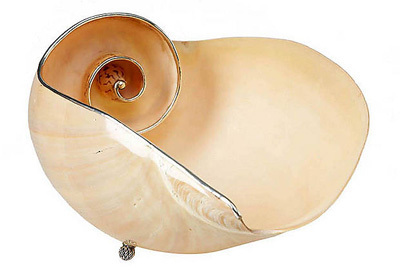 Each plate will have a shell as place card holder, one large shell for bread, a mother of pearl champagne bucket and some nautilus votive scattered on the table should set an inviting dinner scene. The relation between shells and sea is very strong as it is associated with the feminine element of fertility, in fact the word shell comes from the Latin word conchilium meaning to conceal in a shell. 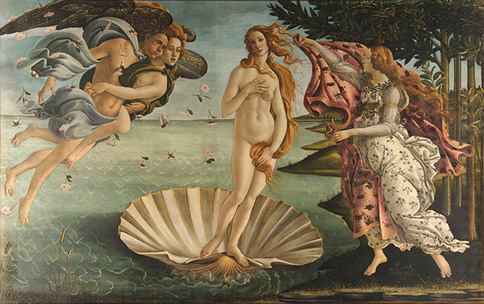 Venus, the goddess of love was generated from the sea inside of a shell. Italian painter Botticelli painted her in his masterpiece of the XIV century (photo below). We are born in water too in our mother’s womb, our shell. In other words the source of life is to be found in the water and the woman is its vehicle. Shells keep the secrets of oceans and earth, shipwrecks, lives lost, earthquakes, moon influence, sun’s scorching heat and people’s touches transferring feelings and sicknesses with their hands. Some people think once shells have found a new place in a house décor will communicate to the household all the secrets they keep, bringing in the good and the bad luck, regardless of their beauty. Legend? I don’t know, but I heard it from an astrologer. In history shells became an important symbol to mark properties, to indicate social casts, family crests and coats of arms. The shell became the symbol of the Italian Renaissance, a rebirth in the fields of arts, architecture, music, literature and scientific discoveries after the dark age of the Medieval era. In Europe shell symbols are found on important building as churches, cathedrals and political establishments. 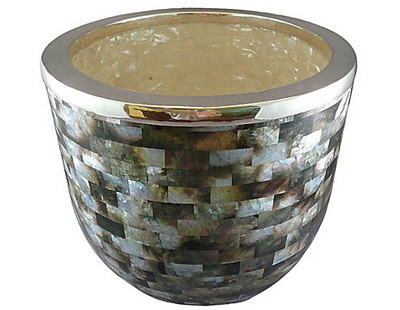 I was attracted by the colors of these superb tableware and the elegant simplicity they enclose. 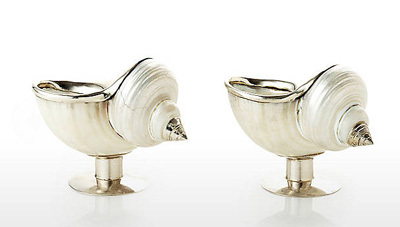 Knowing the history and legends attached to shells would make an interesting conversation topic with the guests. Valentina Cirasola transforms and creates spaces realizing people’s dreams in homes, offices, interiors and exteriors. She infuses your everyday living with a certain luxury without taking away a comfortable living. As an interior designer with a passion for kitchens and cooking she loves to remodel homes and loves to turn unattractive spaces into castles, but especially loves to design kitchens and wine grottos. She is the author of RED-A Voyage Into Colors, the forthcoming book on the subject of colors, in publication at this time. 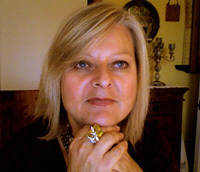 Check out her two published books on Italian regional cuisine, available on this site on the Books page and on Amazon.